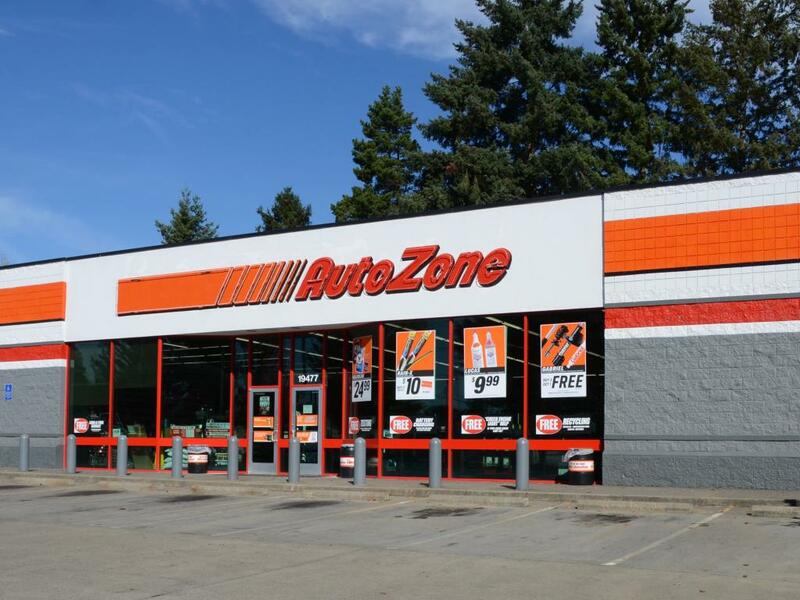 AutoZone, Inc. (NYSE: AZO) posted a major bottom-line beat in its second-quarter earnings report. Earnings per share of $11.49 far exceeded a $9.99 Street estimate, while sales of $2.451 billion marginally surpassed $2.45-billion forecasts. “Commercial comps continued to trend in +LDD [low-double-digit] and accelerate sequentially vs. F1Q due to increasing store manager and district manager engagement and continued improvements in inventory availability, driving the vast majority of the reported total comp,” Wedbush analysts wrote in a note. By Wedbush’s assessment, AutoZone comps outperformed those of O’Reilly Automotive Inc (NASDAQ: ORLY), Advance Auto Parts, Inc. (NYSE: AAP) and Genuine Parts Company (NYSE: GPC) on a two-year stacked basis. The performance was also bolstered by gross margin expansion and improvements in the do-it-yourself (DIY) market. “Positive DIY trends, which are showing no signs of pressure from price transparency or e- commerce channel shift at the moment, could buoy AZO's higher than average multiple,” Morgan Stanley analyst Simeon Gutman wrote. Gutman also attributed comps growth to “growing traction” in the do-it-for-me market. Two late-term seasonal factors offset mid-quarter sales weakness: client receipt of tax refunds and the polar vortex. Both are expected to drive sales in the near-term. 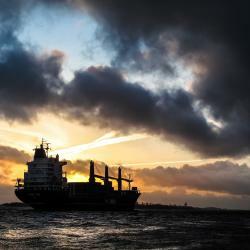 “We believe AZO has a solid degree of momentum going into the spring selling season driven by weather-related demand for maintenance products as well as the potential for tax refunds,” Barclays analyst Matthew McClintock wrote. Wedbush noted the weather aids may not materialize until spring breaks in late March, but refunds are historical catalysts for AutoZone, and delays to the child income tax credit may affect performance in the next few weeks. Seasonal factors aside, Wedbush cited strong underlying trends with momentum in commercial sales. Barclays said the segment heralds a positive run. “The company’s long-term investments are starting to pay meaningful dividends, primarily evidenced by an acceleration in the commercial business,” McClintock wrote. Morgan Stanley expects AutoZone to profit from relatively low gas prices, and the Street anticipates no effects from changes to the national trade policy. “AZO did not see a material cost increase from initial raw material tariffs, as it was able to offset some tariff costs from strength of the USD,” McClintock wrote. 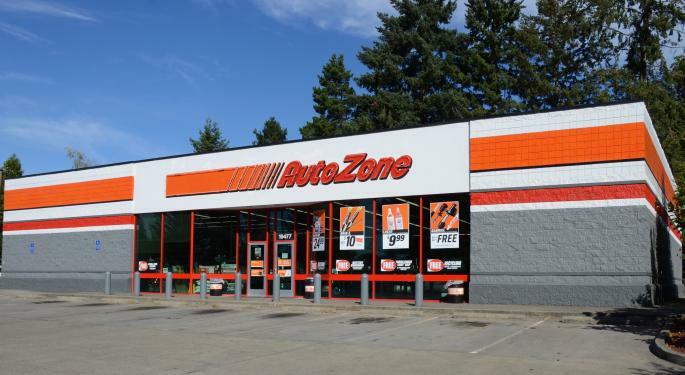 Morgan Stanley suspects most of AutoZone’s improvements are already be baked into the multiple. However, a bullish take on the stock may soon be warranted. “Evidence is mounting that this may be the year AZO's Commercial business ‘breaks out,’ which could result in further multiple expansion for the stock given the resiliency/lower perceived e-commerce risk associated with this side of the business. Wedbush maintained an Outperform rating and raised its target from $970 to $1,030. Shares traded at $910.47 Wednesday afternoon.